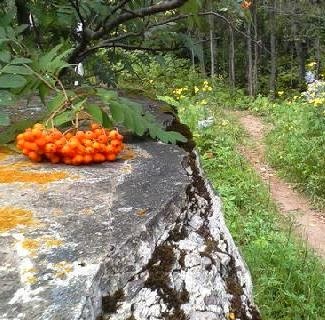 These orange beauties are mountain ash berries (a.k.a. rowan berries) in Lester Park, my home away from home. I made jam from them last year, which looked delicious and practically burned a hole in my stomach lining, so this year, I'm sticking to pictures. 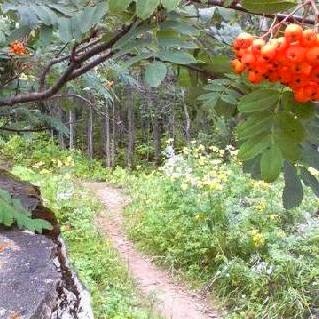 The mountain ash tree just happens to be the subject of a tragic, gorgeous Russian folk song. Are there any other kind? Yes. And it's about berries.